When I first thought about learning to sew and make my own clothes, my mother gave me a brilliant present: a new sewing box with lots of useful bits and bobs inside including machine and hand sewing needles, a variety of pins, a spongey pincushion, good fabric scissors, tailor’s chalk (the sort that comes in a hard little square) and a measuring tape. This kit was a great toolbox for a new sewer starting out and I didn’t really think about adding any other implements or accessories for quite some time. 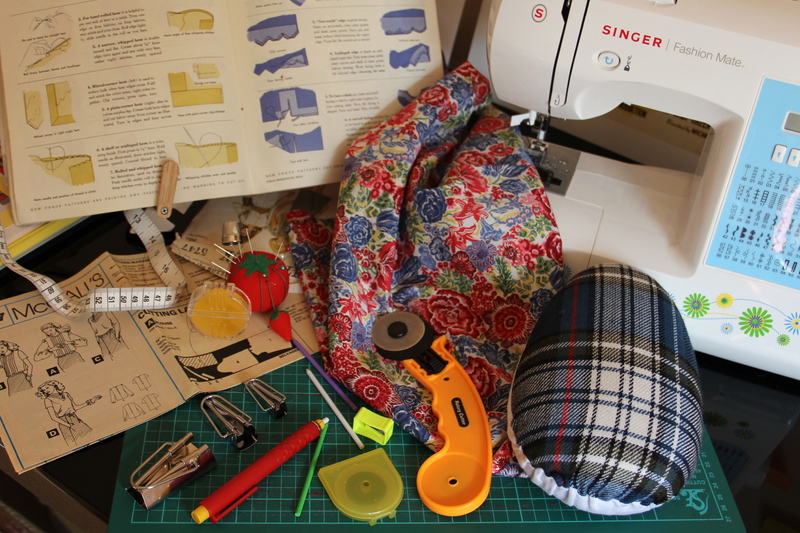 More recently, through reading different sewing blogs and books, I’ve come across suggestions for other sewing tools which I had initially dismissed as not being of particular use to a beginner. There are so many sewing-related gadgets and tools out there that it’s really hard for beginners to figure out what’s worth picking up and what’s an unnecessary expense. 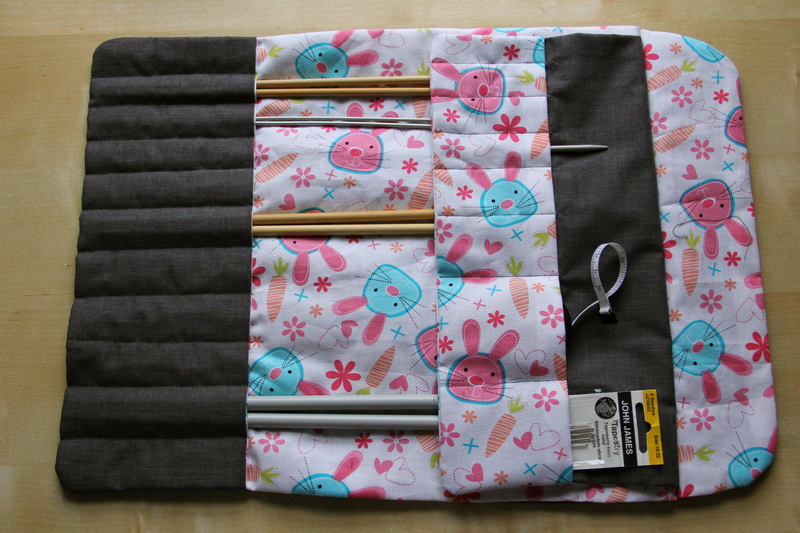 I soon discovered that I had really underestimated the usefulness of five of these in particular, and thought I’d share them in case you might be in the same boat in terms of keeping sewing costs down and limiting your sewing gadgetry. It is almost ridiculous just how useful this has been for me in preventing thread from tangling up while hand sewing waistbands and bindings, or even just quickly basting two pieces of fabric together. A very simple, but very effective, tool for your kit which should be stocked in your local sewing store. I used to rely solely on the standard square tailor’s chalk that came in my sewing box gift, but I found it hard to make accurate markings with it because the edges became dull so quickly and yet the chalk wasn’t soft enough to make a nice clear mark. My husband bought me a chalk pen set at Joanne’s (it’s the red pen above) for Christmas last year. The pen came with a set of over a dozen white and multicoloured replacement nibs as well as a sharpener for replenishing the point. The chalk is good enough quality to mark any of the fabrics I’ve used it on, from wovens through knits, but rubs off really easily and hasn’t left any stains. I can’t tell you how much time and frustration this one pen has saved me! I held off on sourcing one of these for ages, mistakenly believing they were really only useful when inserting sleeves. Nope – the tailor’s ham comes in handy for pressing all sorts of shapes and seams. Pressing seams properly makes such a huge difference to how ‘finished’ a garment looks – and once the item is made up, there’s no going back in there to smooth things out! 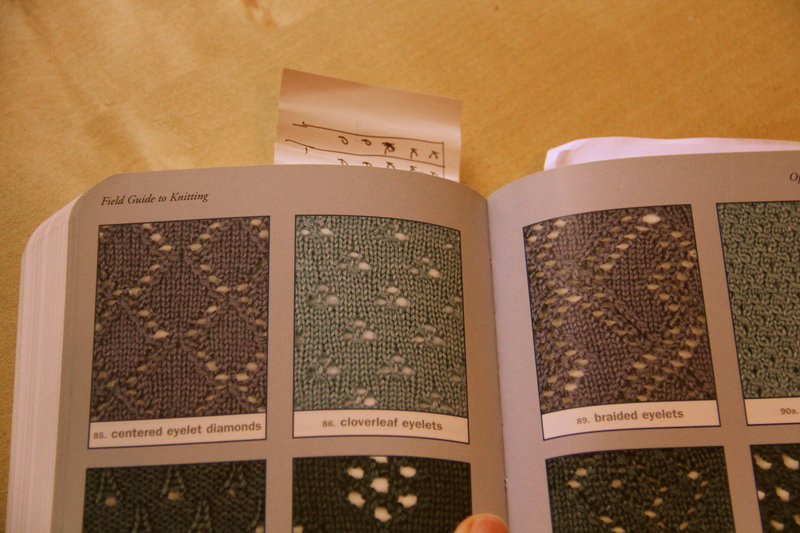 One sewing task I always put off tackling is making matching bias binding. It’s not that hard – just a bit dull! I bought these three Hemline bias binding makers which definitely make the task a lot easier. They’re really not essential for making binding – you can certainly make it just fine using a few pins, a measuring tape and a good iron – but they really speed up the process. 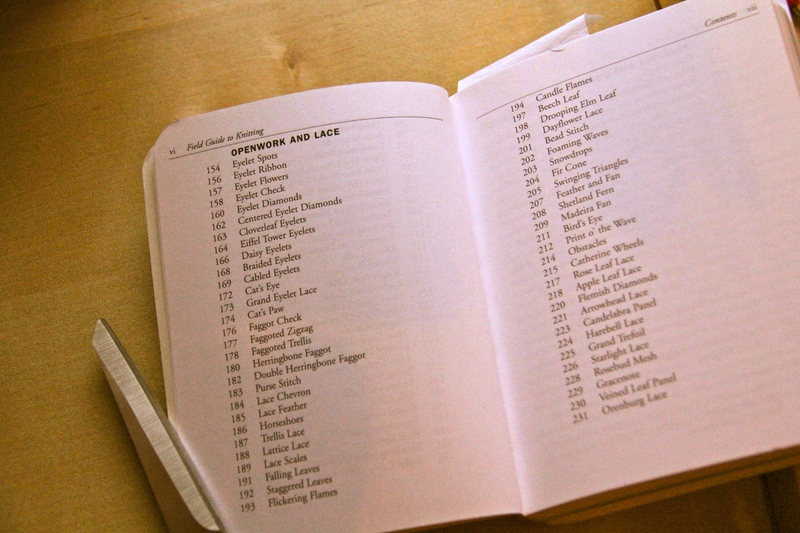 The one I use most is the 1″ binding one, but the other two do come in useful. I have a really good pair of fabric scissors and so for a long time I thought they would see me through just fine. However, I had a lot of difficulty in trying to cut lighter fabrics with any kind of accuracy using the scissors: the fabric kept slipping and shifting around when lifted for the scissors. I sourced my rotary cutter on eBay and bought a self-healing cutting mat at a local art supply store and have found them particularly useful for cutting knits (so quick and no stretching out of shape!) and very lightweight fabric. And the rotary cutter is especially useful when cutting fabric strips for binding! 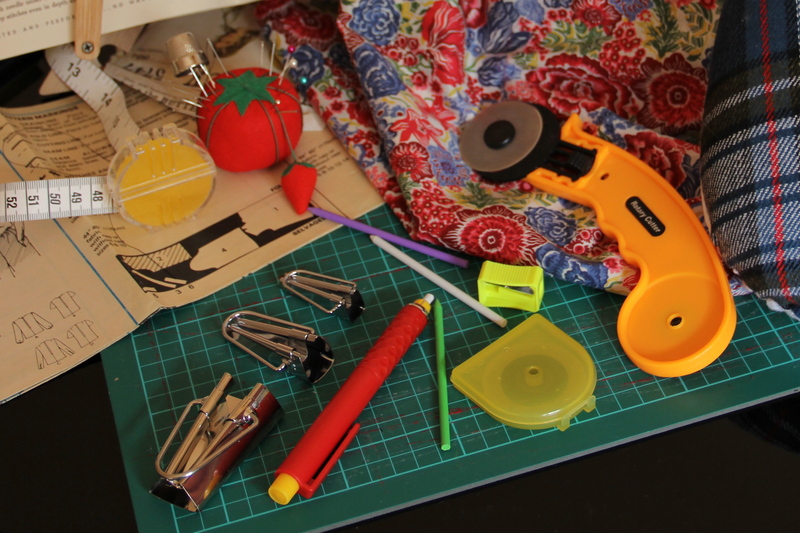 So what simple, but brilliantly useful, inexpensive sewing tools do you turn to time and again? What else have I been missing out on all this time?? I had some dental surgery last week which has laid me low for a while. 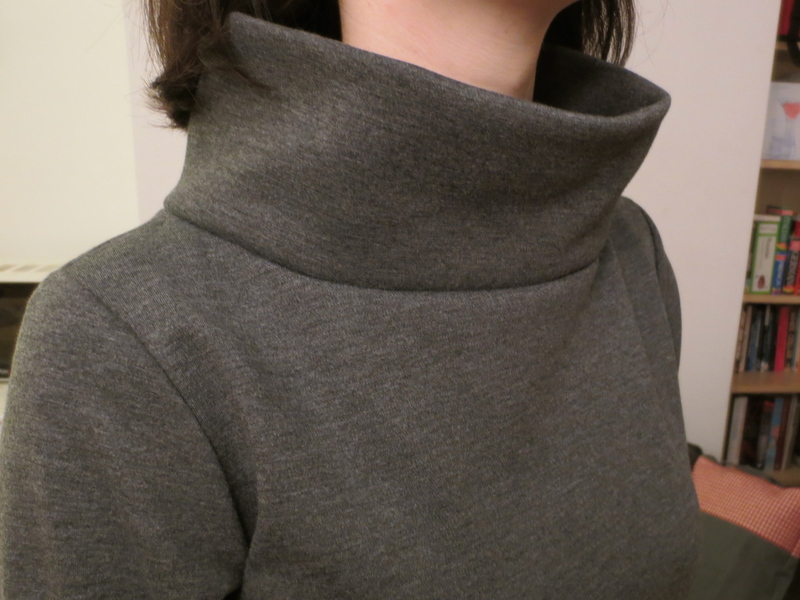 I haven’t been up to tackling any big or tricky projects post-surgery, but last weekend I wanted to sew something – something simple. So, I turned to two of my favourite things: cats and Cocos. 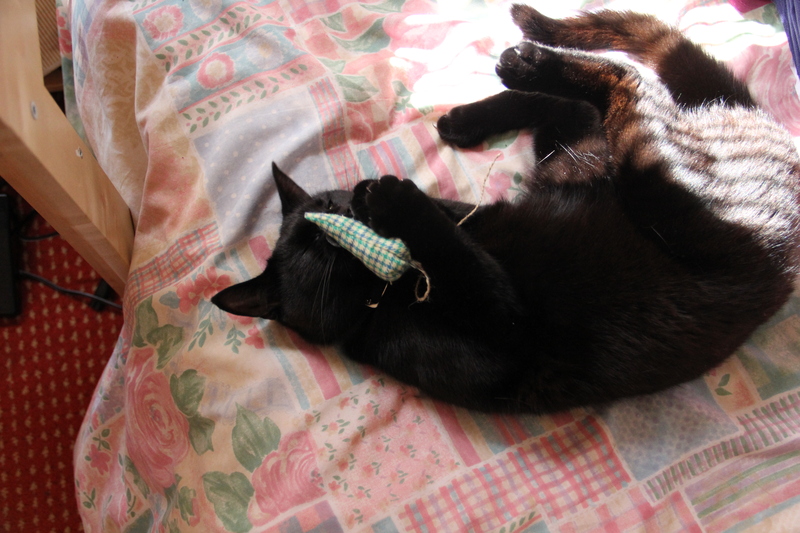 The first project I worked on was a sweet stuffed toy for the cat. 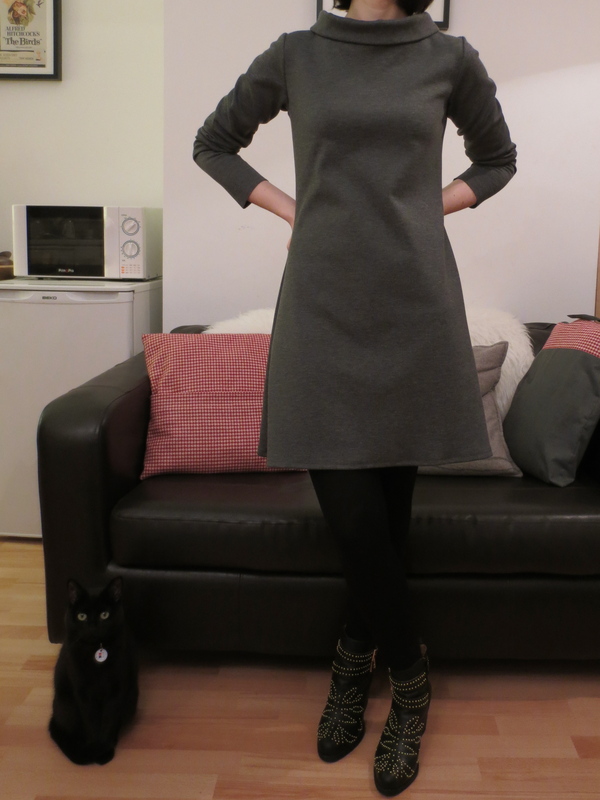 Working from Creative Pixie’s handy mouse-making tutorial, I used some fabric left over from my Murphy dress for the body and cut the mouse ears from the same grey knit as my first Coco. I also inserted a bell from a Lindt chocolate Santa and some dried catnip along with the mouse stuffing to spice it up a bit for her, then secured a string tail. 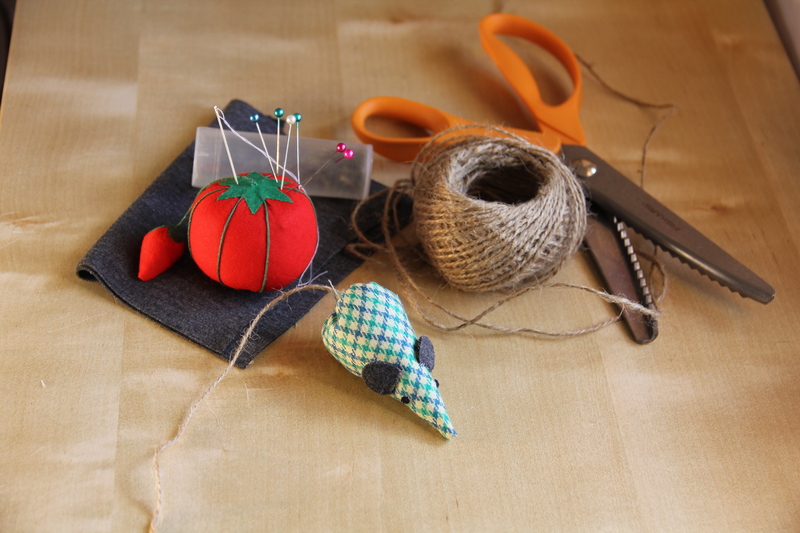 The stuffing also came from leftovers – I had used it for the needle case I made at Christmas. Our cat is pretty tough on toys so I’m not sure how long this little creature will last! It was really quick to make though, so won’t be too hard to whip up a few more when the time comes. 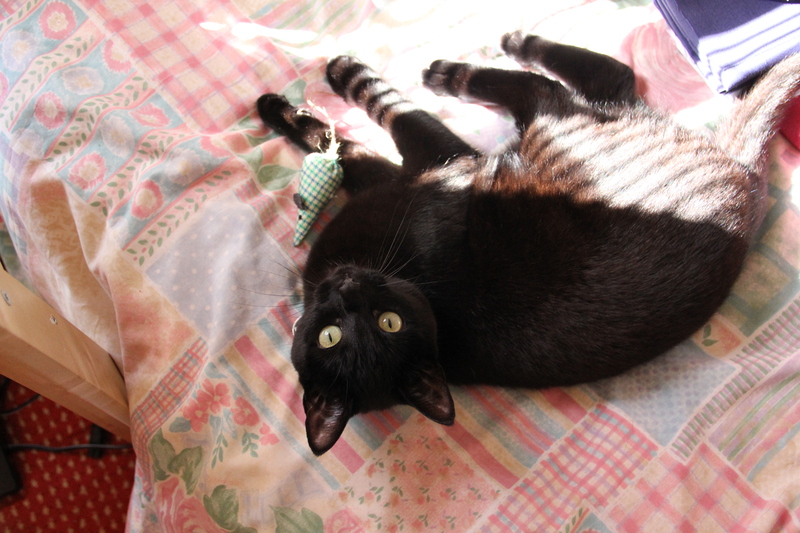 Plus, it’s a handy use of fabric scraps – and she’s certainly been enjoying it. 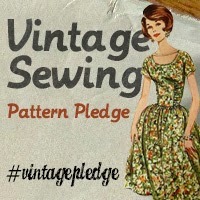 And then for a bit of selfish sewing… I’ve had a lovely soft, very lightweight, polka dot jersey on standby for a while. I found a yard of it in a remnant bin for a few euros and thought that one day, I’d get around to making some kind of pyjama top out of it. Well I forgot all about that until I saw Stitch and Witter’s cosy bedtime Coco and remembered that I had squirreled this fabric away. 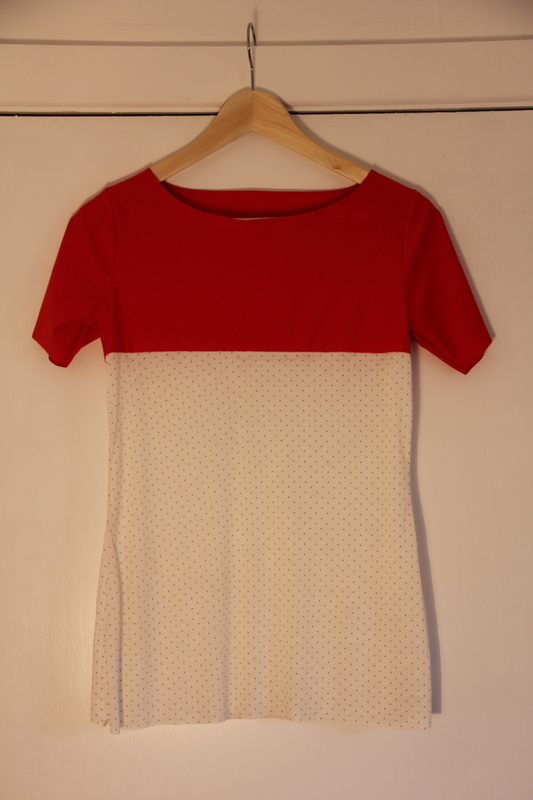 The polka dot knit (it’s an off-white base with grey dots) is very lightweight so I made the yoke and short sleeves out of some of the leftover red fabric from my sporty Coco to preserve some modesty. This is one soft pyjama t-shirt! I’ve been holding off on wearing it since making it on Sunday so I could photograph it and now I can’t wait to snuggle into it! I like the way the unfinished sleeve and bodice ends suit the softness and casual feel of the top, so I’ve left them unfinished. 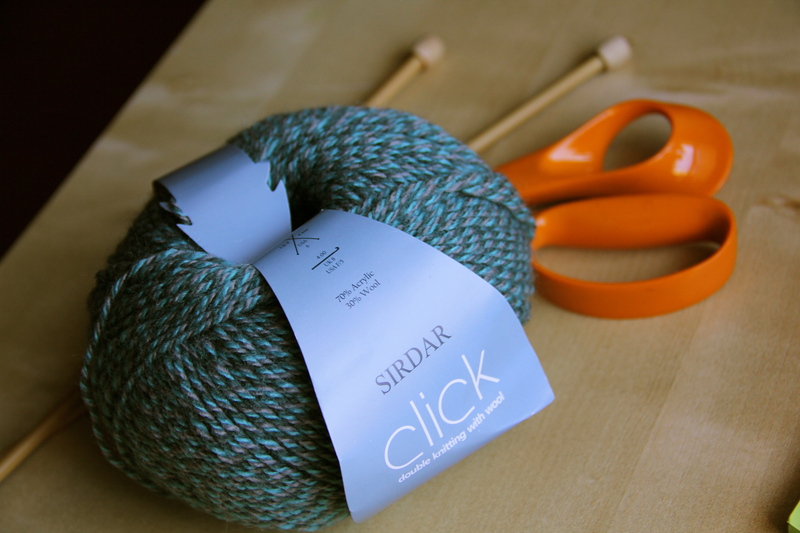 What do you turn to when you want to do something craft-related, but don’t want to commit to a big project? I photographed this project – a knitting needle case for my mother – a couple of weeks ago in preparation for a post, but I’ve been holding off putting it on the blog until I was sure it had been received at Christmas! 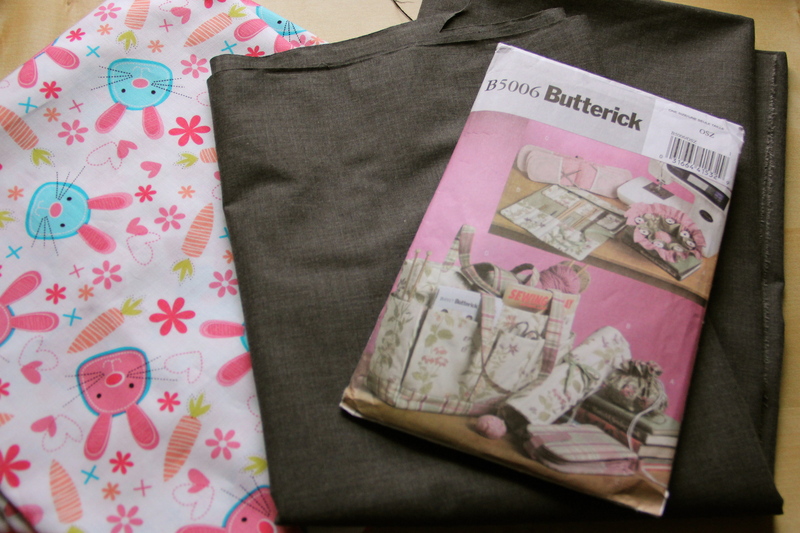 I opted for a cute bunny print cotton as the contrast interior and a grey polycotton as the main colour. I somehow managed to not photograph the ribbon to tie the closed case up with (ahem, see my New Year’s resolution below…). 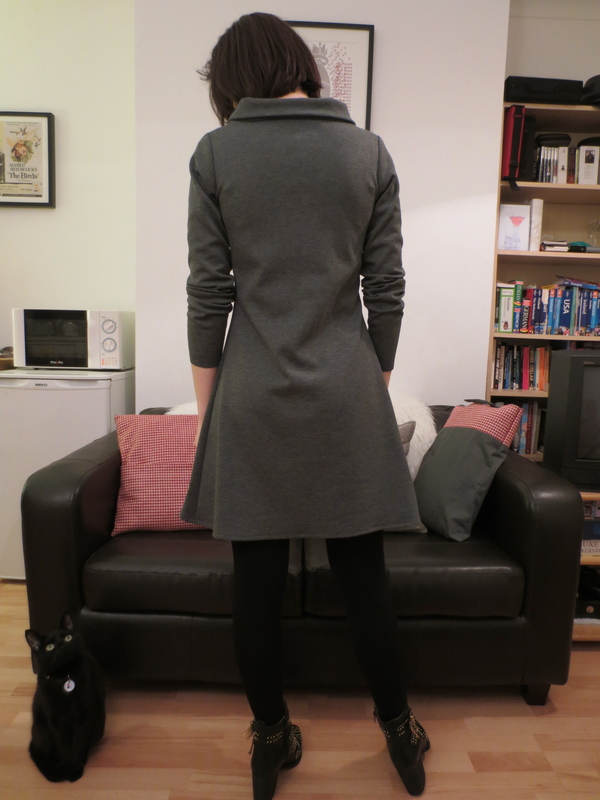 The pattern is Butterick B5006. I bought it with the intention of making myself a good cat-proof knitting bag, but instead have used the knitting needle case part a few times for gifts (the last one I made up was for my sister and involved this fun Michael Miller alien print as the contrast to a complimentary blue main fabric). Skills learned: I’ve worked with this pattern before, but I used a thicker wadding this time around so I think the ‘skill’ I worked on most here was manipulating a much chunkier project than usual. 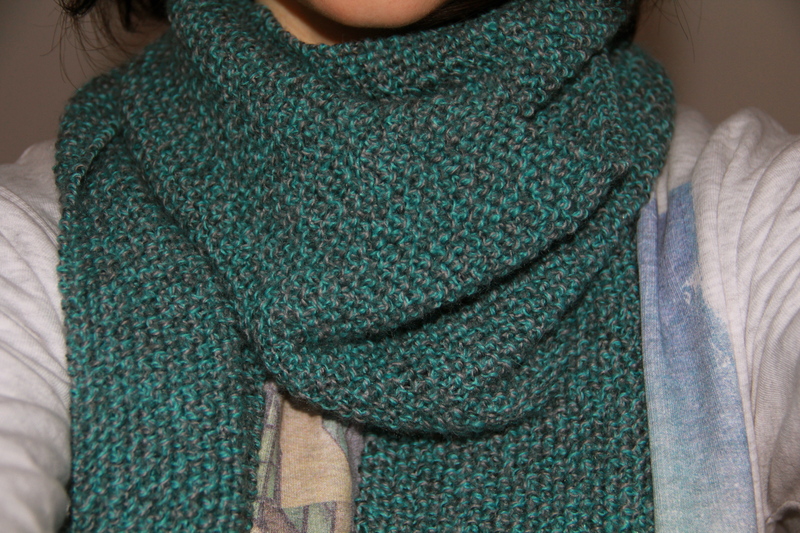 Recommend pattern? 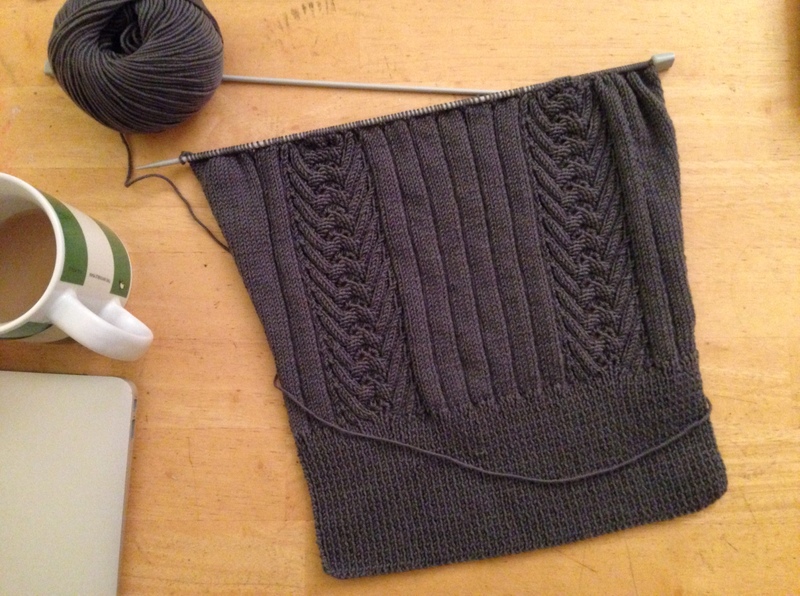 The only segment of the pattern I’ve used so far is this needle-case but it certainly does the job for that. Had I not had one on hand, though, I could have drafted my own version. 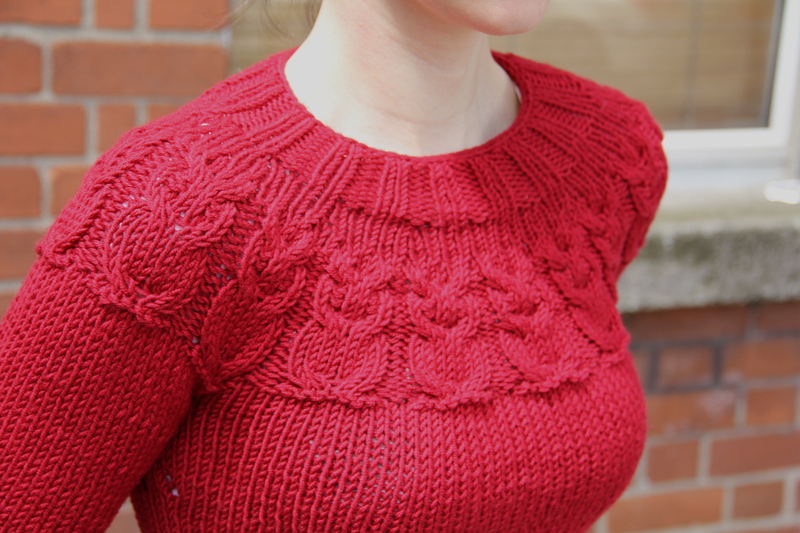 I have been really enjoying catching up on my blog reading over the past few days and seeing reviews of various sewing and knitting projects of 2013. It’s also been really interesting to read up on bloggers’ plans for the coming year. One area of the blog I specifically aim to develop this year concerns the photos of finished projects for the blog. With that in mind, I’ll soon be posting a couple of pieces that I finished up late in 2013 but haven’t written about here yet. I’m trying to think of ways to salvage the project, but I’m putting it aside for the moment to see if the miracle ball of yarn shows up somewhere online. In the meantime, I’m turning my attention to Christmas present production. 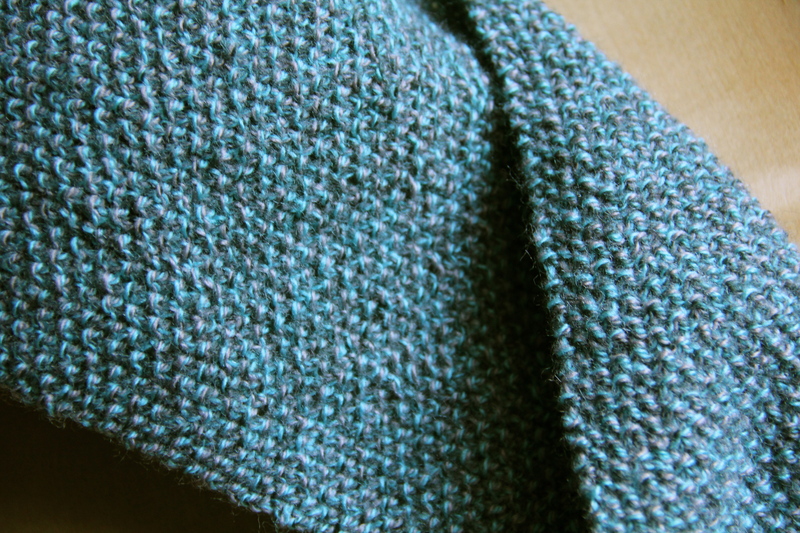 Every year, I knit at least two or three scarves as gifts for family or friends and have found knitting or stitch ‘dictionaries’ brilliant sources of inspiration when designing scarves for different people. 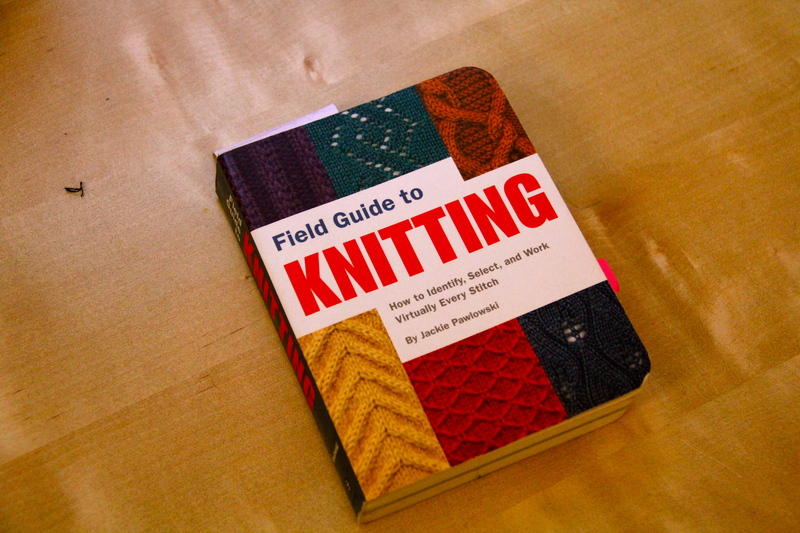 I bought this one (pictured above) in New York a few years back, after buying a copy for my sister who was then just learning to knit. 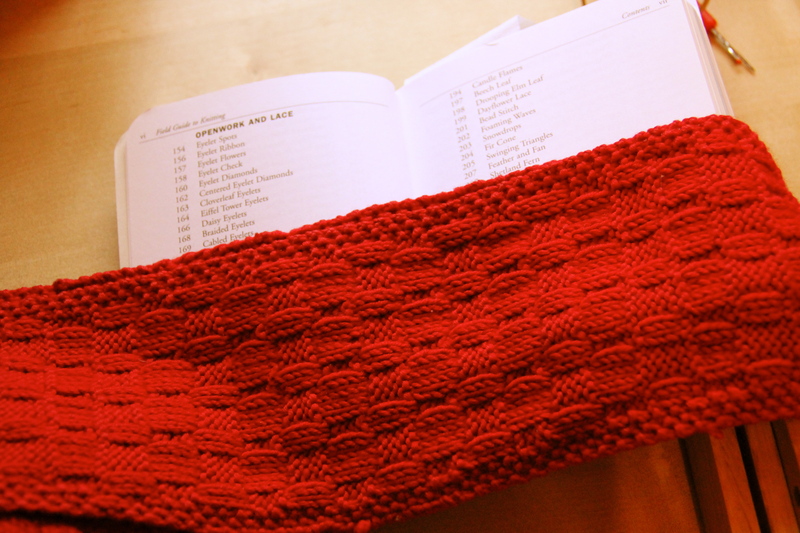 I thought it would be really useful to have to hand whenever I would start to design my own projects and it’s been invaluable when it comes to scarves. 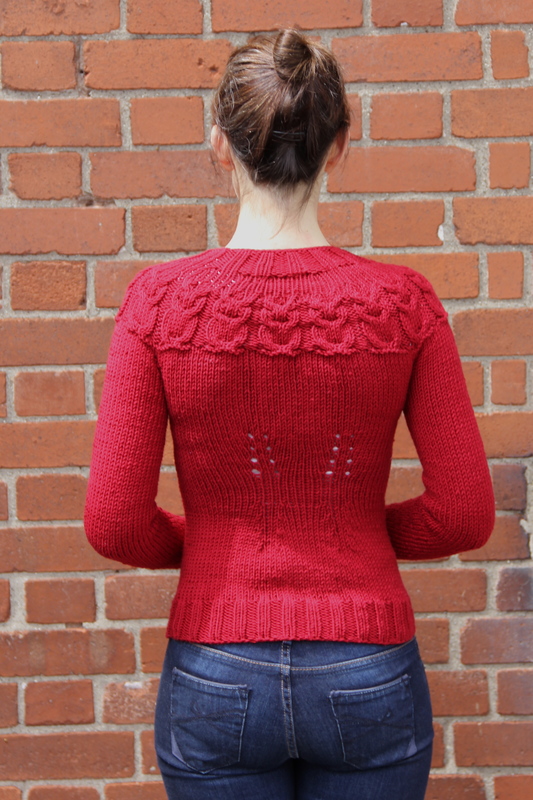 By outlining different types of stitches or different pattern plans, it’s really easy to modify them and to develop your own border and pattern combinations.